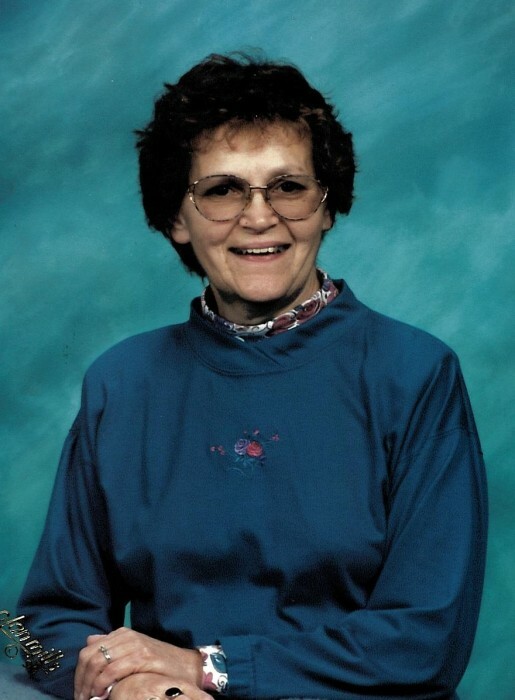 Catherine J. Wappes, 82, of Columbia City, formerly of Churubusco, passed away on April 7, 2019, at her home. Born in Noble County, on December 3, 1936, to Eugene and Hilda (Fischer) Couture. She spent her formative years in Noble County, graduating from Huntertown High School in 1954. She attended St. Francis where she received her Bachelor's and Master’s degree in education. Catherine was married to Bernard Wappes in Ege, on July 13, 1957. She was a second grade teacher at Churubusco Elementary School for 25 years, retiring in 1992. Catherine and Bernard enjoyed wintering in Mesa, Az. She also enjoyed attending events for grandchildren, refinishing and cross stitching. Her labor of love for her church was restoring the pews at St. John Bosco Catholic Church. She was a member of St. John Bosco Catholic Church. Catherine is survived by her husband of 61 years, Bernard Wappes; three daughters, JoAnn Pearson, Mary Lou (Rheejaa) Price and Carolyn (Rick) Roebuck; four sons, Charles Wappes, David (Lori) Wappes, Kenneth Wappes and Thomas Wappes; 14 grandchildren, Dr. Anna (John) Kalbfell, Benjamin (Emily) Pearson, Theodore (James Bennett) Pearson, Scott (Sylvia) Wappes, Dakota Wappes, Hannah Wappes, Alexander (Jade) Harmeyer, Kaylon (Elle) Wappes, Daniel Wappes, Carly Wappes, Skylar Wappes, Rachel (Andrew) Ferrell, Reneè Menzie and Richelle Menzie; four great-grandchildren, Ash and Juniper Harmeyer, Jackson and Charlotte Ferrell. She is preceded in death by her parents; a son, Terry Andrew Wappes; a brother, Eugene Couture; two sisters, Patricia Ehle and Margaret Moothart. Mass of Christian Burial will take place at St. John Bosco Catholic Church on April 12, 2019, at 11:00 AM, with calling from 10:00 AM to 10:45 AM, at the funeral home. Family will also receive friends at the funeral home on Thursday, April 11, 2019, from 4:00 PM until 8:00 PM, with the Holy Rosary at 8:00 PM. Burial will take place at Ege Catholic Cemetery, Ege. In Lieu of flowers, please direct memorials to the family for Masses or Parkview Home, Health and Hospice of Whitley County.